Chemistry has been taught at CTU for 200 years, specifically since 1806 (100 years after the founding of the Czech State School FJ Gerstner), when the Czech State Polytechnic Institute was established with two departments: mathematics and chemistry. After the establishment of ICT at CTU during 20’s, its subsequent separation from the group and establishment as a Technical University Institute of Chemical Technology in the 50’s was followed by the transferral of subjects related to chemistry at the Technical University Department of Nuclear Chemistry (TUDNC) to the auspices of the Faculty of Nuclear Sciences and Physical Engineering (FNSPE). The Department of Nuclear Chemistry is now the oldest department of the Faculty of Nuclear Sciences and Physical Engineering at CTU in Prague. It was established as one of three basic departments in 1957, shortly after the founding of the faculty (at that time going under the name CTU Faculty of Technical and Nuclear Physics).Present at her founding were the Academic František Běhounek, a student of Marie Curie-Sklodowska and the most important Czech physicist and radiologist to date, associate professor Vladimir Majer, author of the first Czech monograph on Radiochemistry (1942). Later, the department oversaw the establishment of two new nuclear departments at the faculty at CTU: The Department of Dosimetry and Application of Ionising Radiation (KDAIZ 1963) and the Centre for Radiochemistry and Radiation Chemistry (CRRC 2003). The gradual development of education within the entire scope of nuclear chemistry was carried out by associate professor (and, since 1962, Professor) Majer, to his great credit. Systematic study plans were created and the department was constructed. Teaching was initially aimed at educating professionals for pure, methodology-based and applied research in nuclear-chemical preparation and analysis. 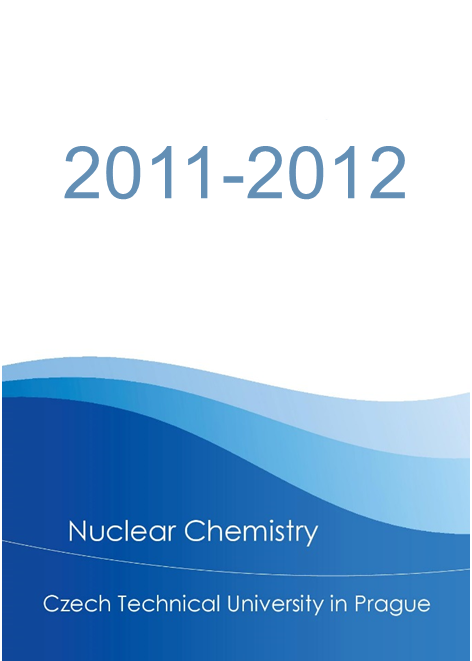 Since 1958 the training program has gradually expanded to include the use of radionuclides in chemical research and engineering practice, separation methods and processes in Radiochemistry, the use of radionuclides to study transport and reaction mechanisms, the behaviour of traces of radionuclides, radiation research in catalysis and other processes of radiation, isotope separation and related environmental issues including Nuclear Radioecology and Chemical Technology. Ultimately the department has managed to create a system of teaching in nuclear chemistry which is the only one of its kind in the country and has few parallels in comparable countries. Under the current system the fields of nuclear-chemical engineering (bachelor's and master’s (engineering) program) and nuclear chemistry (doctoral program) are currently being studied at DNC as structured curricula. After completing a three-year bachelor's degree focused on the fundamental disciplines of chemistry (traditionally accredited in collaboration with Faculty of Natural Sciences at Charles University), and the foundations of mathematics and physics (tailored to the needs of chemists), most students continue in the master’s program. During the master’s program, students can choose one of two approaches: applied nuclear chemistry or nuclear chemistry in biology and medicine. The second of these specialisations was first opened in the academic year 2006/2007, the department having responded to increasing expansion in within this area by setting this up. As part of the applied nuclear chemistry specialisation, students can further specialise in environmental chemistry and radioecology. 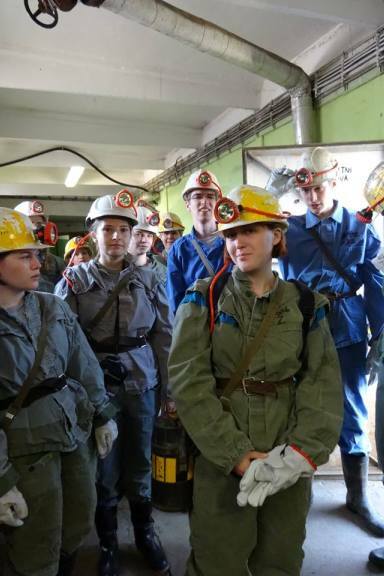 Students on the master’s program receive a comprehensive education in the chemical aspects of nuclear science and its applications; including a practical knowledge of working with open radioactive sources, obtained in a number of practices. 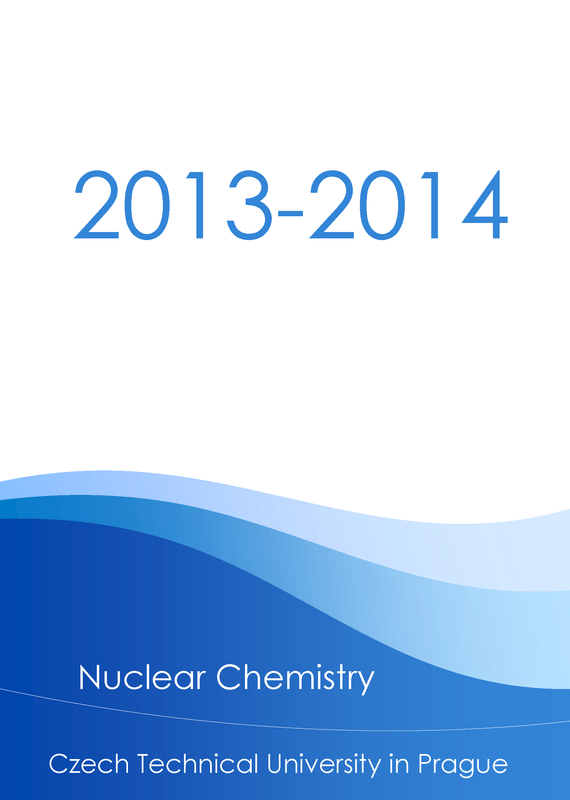 Together, these make up the course content of nuclear chemistry (including the radiochemistry and radiation chemistry, including their applications in analytical, general and physical chemistry and the chemistry of traces), nuclear and chemical technology radioecology. Newly-qualified master’s graduates with diplomas in nuclear chemistry have a wide range of opportunities in the energy sector as well as in the chemical, medical, agricultural, food sectors, the government and other areas; both in terms of practical work and also in research. All the indications are that demand for these graduates is continuing to grow. Graduates from DNC have traditionally been required in these and other areas due to their flexibility, solid knowledge of, not only their own field, but also related ones, including their computer skills and language skills. Today, the qualification of "nuclear chemist" still maintains the solid reputation it has always had. Currently, team of around 20 at DNC provides students with practical individual attention, this compares very favorably with the larger departments. Students will already be involved in research projects at master's degree level (and often earlier). Doctoral students are an integral part of the research groups, usually involved in the management of undergraduates and graduates. Moreover, teams are supported when carrying out projects with broader scope with their own project managers. As a department of the Technical University DNC deals with a relatively large number of research projects; both independently or in cooperation with the CRRC, "nuclear" research institutes in Rez near Prague (UJV Inc., NPI ASCR vvi) (mentioned above), other departments FNSPE (KDAIZ, KJR) and other faculties and institutes at home and abroad. 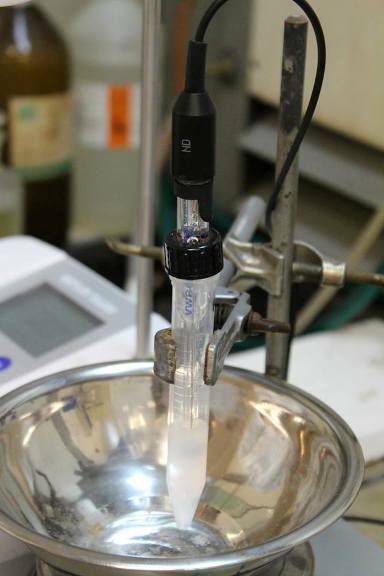 The scientific activity of the department is carried out by three research groups whose scope covers the greater part of modern nuclear chemistry. 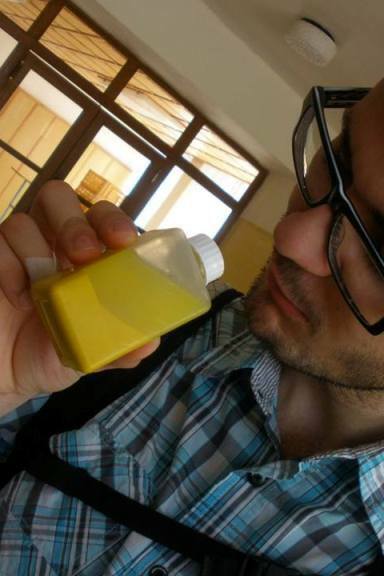 Projects cover a wide range of issues; from basic questions of general nuclear chemistry to some of the current problems of contemporary society in the field of nuclear energy (especially radioactive waste), environmental protection and the bio-medical applications of radionuclides and ionizing radiation. 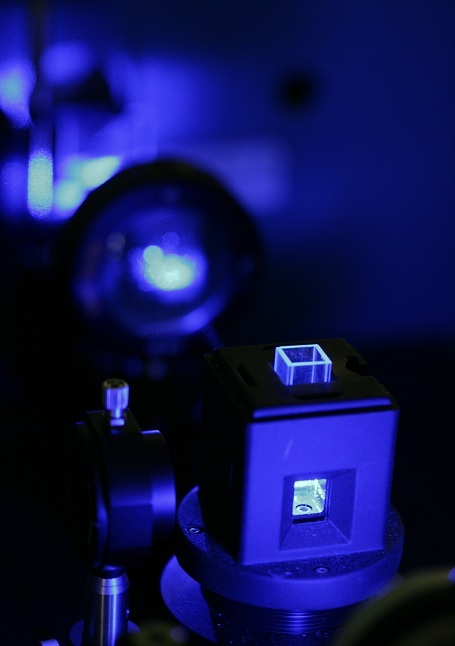 Currently the department, along with the CRRC, uses complete radiometric equipment, including liquid scintillation spectrometry and gamma and alpha radiation spectrometers, modern laser, a TRLFS spectrometer and a UV-VIS spectrophotometers with an optical probe which allows the kinetics of chemical reactions to be measured in situ. In addition to this liquid or gas chromatographs, atomic absorption spectrometers and structural X-rays are also in use. Moreover, a newly refurbished complex of laboratory-certified areas, designed to work with closed and open sources of ionizing radiation, with appropriate facilities is also employed. These facilities, conceived and operated by the scientific-pedagogical department as they are, are unique in the Czech Republic.